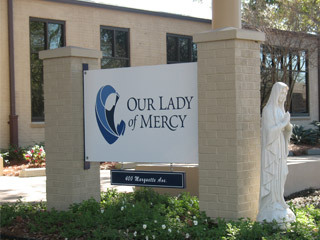 Our Lady of Mercy School is located at 400 Marquette Avenue, Baton Rouge, LA 70806. Contact numbers for campus offices are included below. You may contact Mr. Chris Porche, Principal, by email at cporche@olomschool.org. We encourage prospective families to visit our campus during our Open House hosted in January, or by scheduling an admissions tour (see below).